The child support laws in New York set to protect the child by making sure that the parents provide the needed support. They empower the courts to rule based on the guidelines and rules as contained in article 3, titles 6-A and 6-B of the New York state social services. 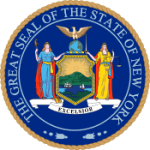 By these laws, the enforcement of child support will be effected by the child support agencies in New York or the judges thereby.